Rental Flat in Les Fonts. Para entrar vivir con 3 habitaciones y balcón !! Rental Flat Carrer vall. Reformado a estrenar! Rental Duplex in Can Palet. Exclusivo dúplex seminuevo 84m2 y 2 terrazas !! Rental Ground floor Carrer sant celoni. Fantástica planta baja grípia. 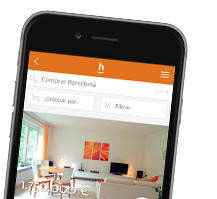 See the whole range of Terrassa property on habitaclia.com leading property portal. On habitaclia.com you will find the best selection of flats quickly and rapidly, and if you do not find what you are looking for, save an alert and we will notify you for free.